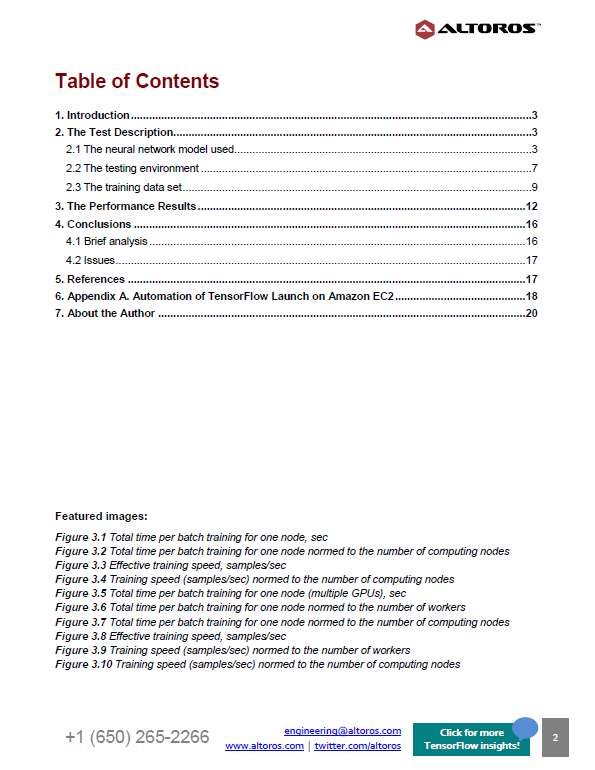 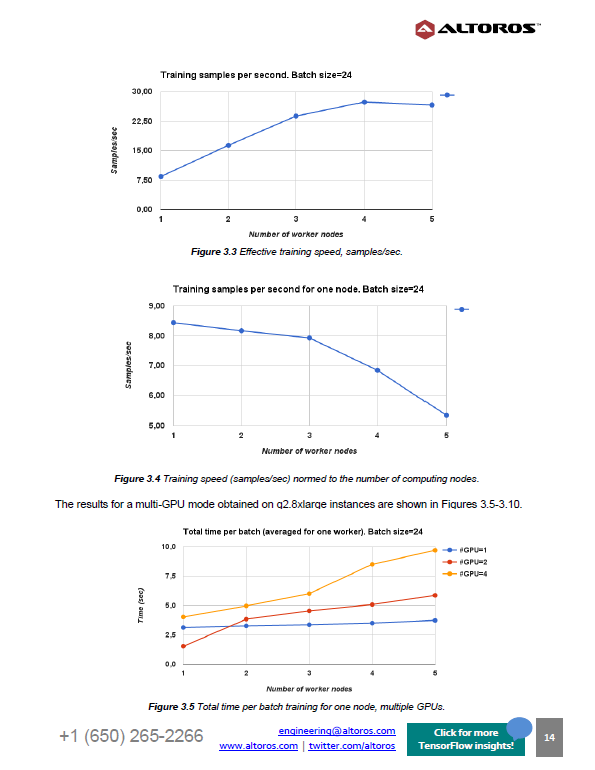 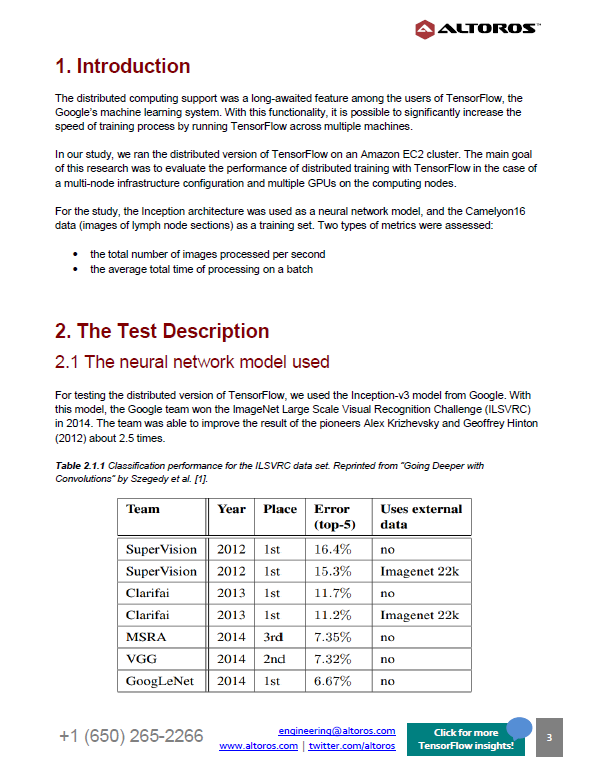 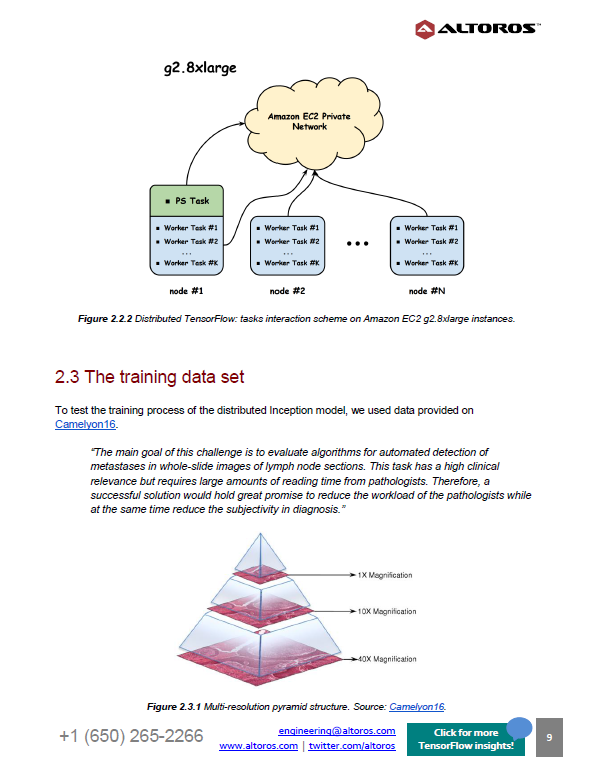 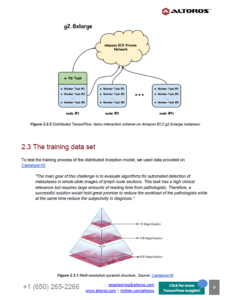 This 20-page explores the performance of distributed TensorFlow in a multi-node and multi-GPU configuration, running on an Amazon EC2 cluster. 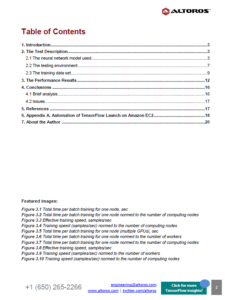 Average total time of processing on a batch. 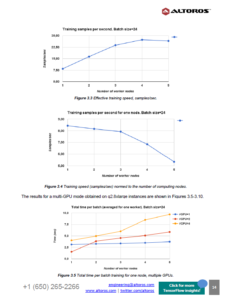 The performance benchmark was carried out employing the Inception architecture as a neural network model and the Camelyon16 data as a training set.